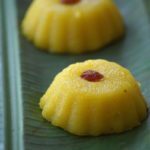 If you are looking for more Indian halwa recipes then do check Sweet Potato Halwa, Milk Rava Kesari, Gummadikaya Halwa, Besan Ka Halwa, Coconut Rava Kesari and Kasi Halwa with jaggery. Add and fry the cashew pieces until golden color. Remove from the pan and set them aside. 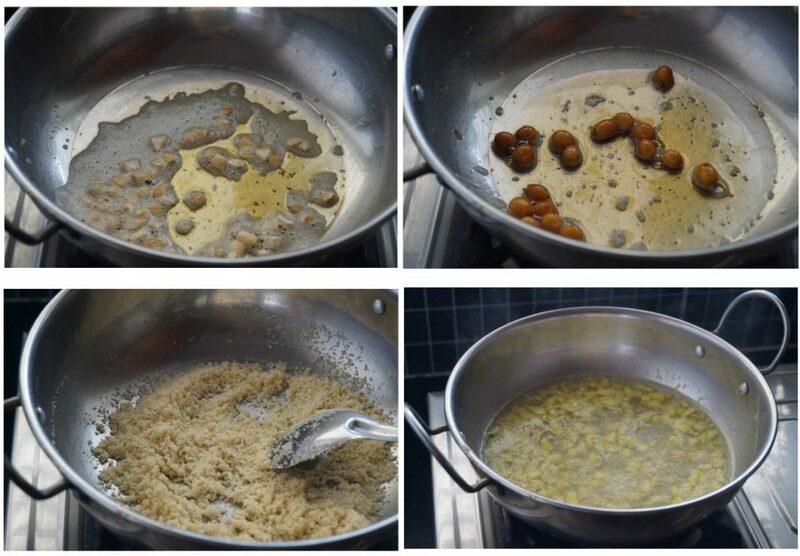 In the same ghee, add and fry the raisins until they plump up. Keep them aside. In the same pan, add the semolina and roast on a low flame until light golden color. Transfer the roasted semolina to a plate and set aside. Combine the chopped pineapple and water in a pan and bring it to a boil. Reduce the flame and let it simmer for 3 – 4 minutes. Add the cardamom powder and food color to the pineapple water. Add the roasted semolina little by little, stirring continuously to avoid lumps. Add the remaining ghee and combine. Cover it with a lid and let it cook on a low flame for a minutes or until the semolina gets cooked. 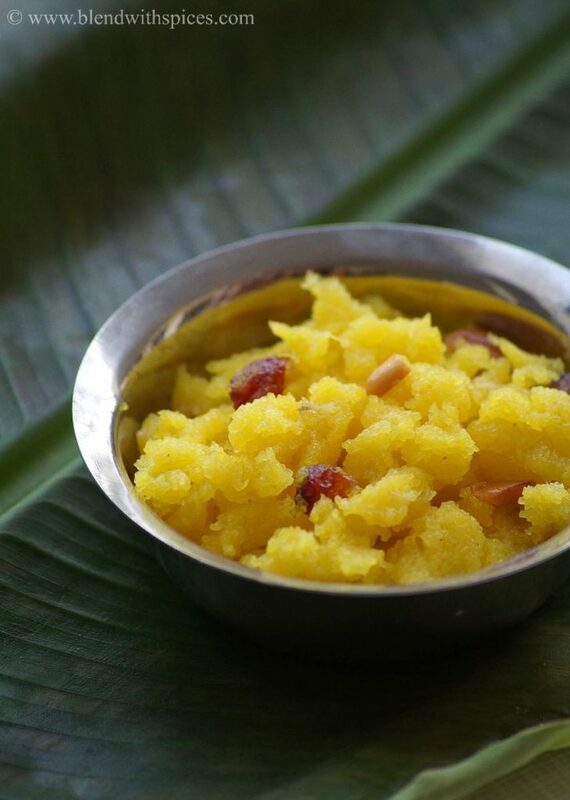 Once the semolina is cooked, add the sugar and combine well. Keep stirring for a few minutes or until the mixture thickens and forms as a mass. Add the fried cashews and raisins and mix well. Turn off the flame and serve warm or cold. 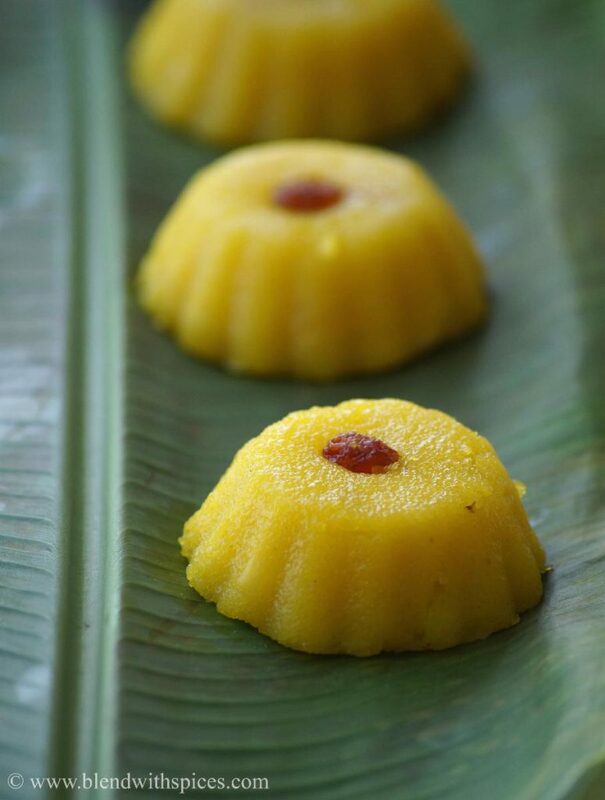 Wow the kesar looks inviting.Love the clicks asusual. 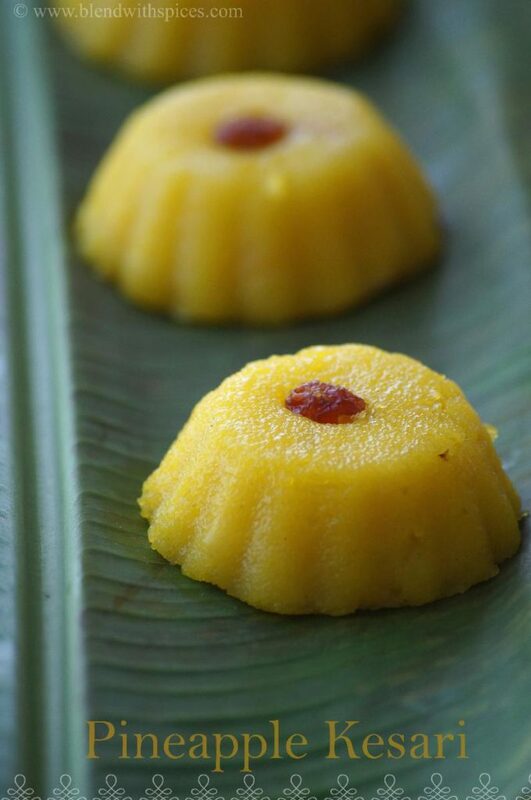 Very inviting and lovely looking kesari. Wonderfully prepared.